Drilcorp’s Borehole Engineering Services Division was approached to carry out work for a recognised Global Alcoholic Beverage Company. A problem arose as the submersible pump became stuck in the borehole during the routine removal operation. The pump was fitted to a flexible rising main which meant that it was not possible to push the pump down from the blockage point to try to free it up. After consultation with Drilcorp Head Office, BES Engineers were instructed to start and stop the heavy submersible pump in order to shake it free from the stuck position but this failed. The pump was shut down and isolated and it was decided to carry out a CCTV survey to try to gather visible information on the situation down the borehole. BES Engineers mobilised one of their CCTV systems. In this case a Laval R-CAM GWS9176 – 1000 XS. This downhole camera is a completely portable, self-contained video inspection system that can inspect boreholes up to 300m (1000ft.) deep and 30.5cm (1.64ft.) in diameter. The camera was run into the borehole to investigate the problem but was unable to reach the pump due to pump motor cabling and dip tubes which were in danger of entangling the camera and causing an additional problem. This was not a time to make rash decisions rather time for a cup of tea and a bit of head scratching! 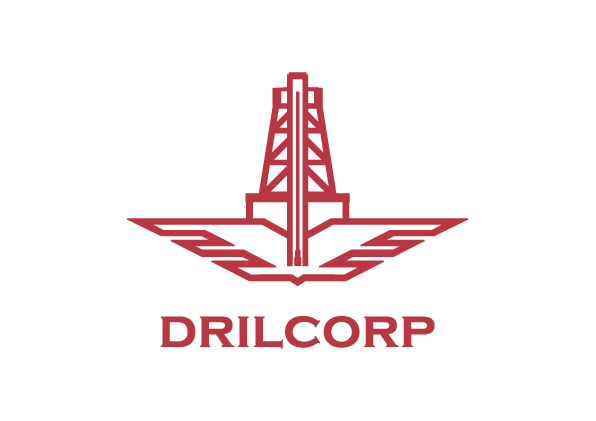 During further discussion with Drilcorp head office it was concluded that the problem had arisen due to a build-up of iron and encrustation above the submersible pump and that as the pump was being withdrawn through this build-up, it had jammed. There are various liquid acid products on the market that are used to dissolve and remove this type of encrustation but the problem at this occasion was – how to get the product to the blockage which was way below the standing water level in the borehole. Product poured in from the surface would dilute long before reaching the blockage. It was then suggested that the product could be introduced through one of the dip-tubes which ran down to pump level. This would place the product where we needed it. That was the plan. 1250kg of a low strength organic acid compound was introduced via the dip tube and left to work for 24hrs. The dip tub was then connected to an air compressor at the surface and very low volumes of compressed air were introduced to the problem zone to agitate and loosen the material that had been softened by the acid. The pump soon became free and was extracted successfully from the borehole. A CCTV survey was now carried out over the full 314mtr borehole which clearly showed that there was still some build-up on the casing and screen at depth. 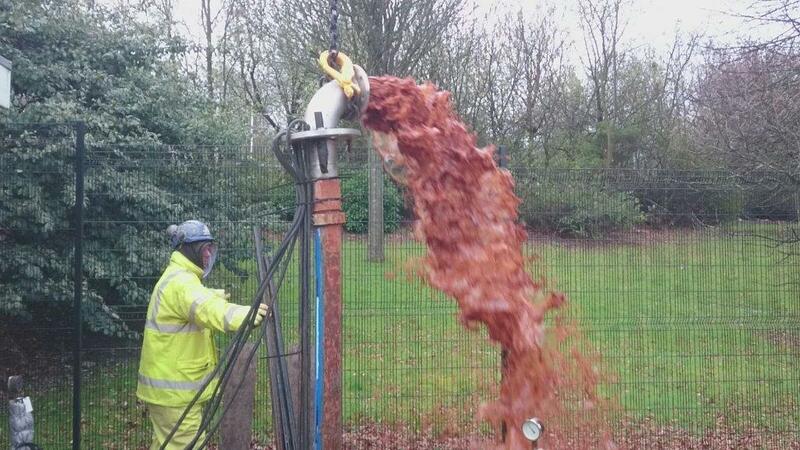 The Client agreed to have the borehole mechanically scrubbed and then air lifted by BES Engineers. This operation was carried out and a subsequent CCTV survey showed the borehole casings and screen to be back to almost new condition with crystal clear water. The borehole was then geophysically logged. A new submersible pump attached to a ZSM stainless steel rising main was installed to 114m with two dip tubes attached. New stainless steel headworks were fitted, the system was commissioned and the borehole was put back into operation.